PM Narendra Modi & Russian President Vladimir Putin Talk On BRICS Summit : Onwards Of BRICS Summit India & Russia Retrospect Their Bilateral Relation. 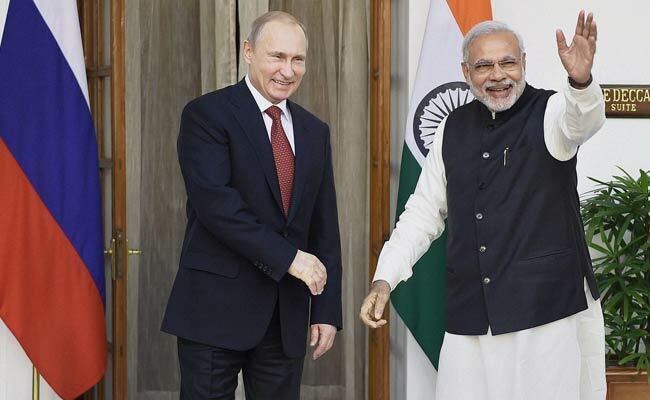 Prime Minister Narendra Modi Is On Russia Visit For BRICS Summit. Both Leaders Met in ufa,Russia in Late Evening on Wednesday. Both were Interact For About 90 Minutes,Foreign Secretary S Jaishankar Said That The Both Leaders Were Discussed That Energy Sector Cooperation Was a Key Area For Rebooting. The Engagement,Including Nuclear Engagement And Hydrocarbons. The Nuclear Cooperation Includes Building On Negotiations to sign Advance Contract for the design of the third & fourth Reactor Units to come up at the kundankulam in Tamil Nadu & A contract for the design has been under process for third and fourth power units. As per Inter-Governmental agreement,1988 which was signed in 1998 by both Indian and Russian government for the building kundankulam NPP,The First 1000 mw unit.which was connected to the national grid in 2013,Is now operating under the 1 yr warranty maintenance period until end of 2015.Last year India & Russian federation signed a general framework agreement on Construction of third & fourth power units of nuclear power plant and in December,2014 the documents were permitted by the government to start the construction work. 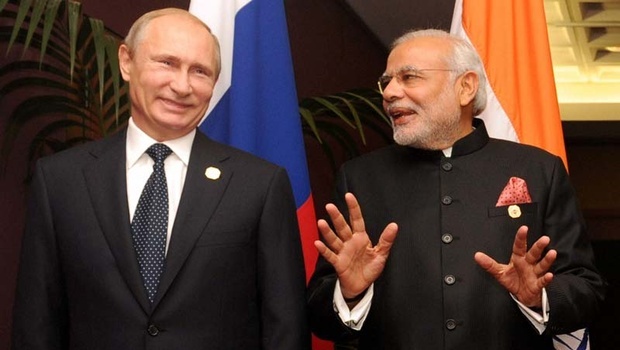 As Both The Leaders,Narendra Modi & Putin Met in Ufa Ahead of BRICS summit & Shanghai Cooperation Organisation Summit.Both Leaders Share their time with each other, PM Narender Modi Thanked The Russian President Putin for Supporting The Celebration Of International Yoga Day On 21 June in Russia. During Important discussion PM Narendra Modi Talked About Yoga With The Russian President, then The Russian President Said that The Ancient Indian Yoga Looks too difficult Thats Why He Has Not tried It. 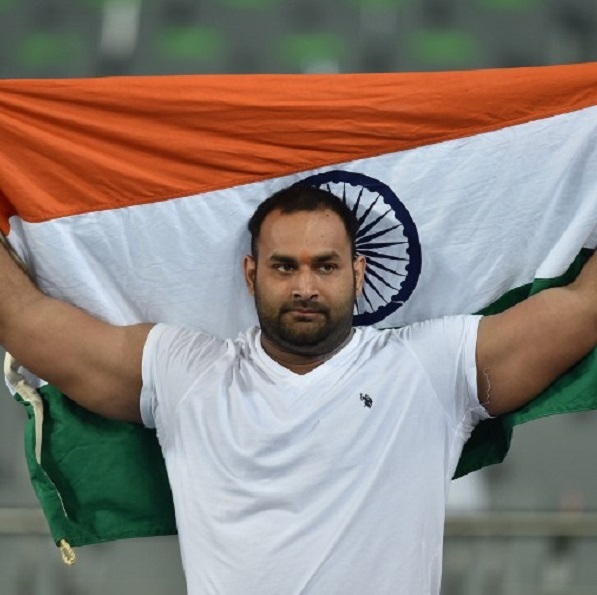 On 21 June The All Cities Of Russia Celebrated yoga day,Prime Minister said On it that “Yoga Will Provide Holistic Healthcare To The New Generation“. Where The 8th Dan Black Belt Holder Russian President Putin said “I do not know how to do yoga. When you people do it, it looks difficult. That is why I have not tried it“. Now, lets see That Whats The Meeting Leads to. Hope Create Good Relation With The Worlds Largest Nation. 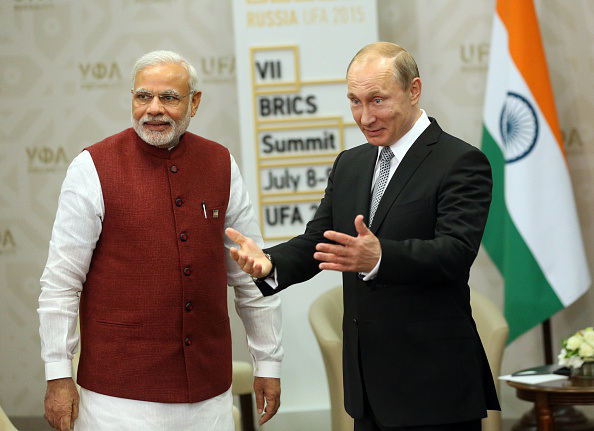 Hope you really like this article of PM Narendra Modi & Russian President Vladimir Putin Talk On BRICS Summit. Aim of our website is to provide you complete true and real details of this article. Don’t forget to share this song with your near dears on social media sites from the share this option given below in green box. Thanks for visiting us and do provide your comments and reviews below.